I have to hand it to the Godfather. 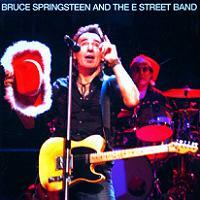 They are really putting out some great Springsteen product. How Nebraska Was Born is an interesting listen to see how the album's ideas and themes took shape. 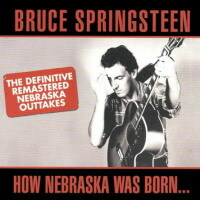 You'll notice some of the songs on here didn't make the Nebraska album but were redone in full band form on Born in the USA (Title track, Downbound Train) and on B-Sides or Tracks (Lion's Den, Bye Bye Johnny, Pink Cadillac). The first CD consists of songs in demo form and worth a listen or two. 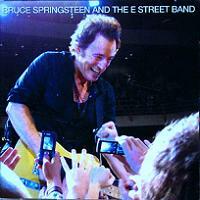 Most of these songs feature Bruce starting and stopping, flipping pages and tuning his guitar so it's not something you would come back to time and time again but for die-hard fans it's nice to see how everything came together. Even though most of these songs have different titles, many would evolve into various well known songs. The second CD consists of outtakes from the album and are a little easier to listen to so I'll focus the bulk of the review on them. There are two short takes of " Nebraska" with Bruce trying to change the arrangement slightly. Take 1 sounds very much like the album version. 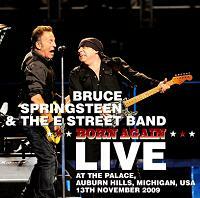 Likewise, "Born in the USA" sounds very similar to the version released on Tracks but has an electric guitar dubbed in. "Losin Kind" is a very good song but was obviously beat out by "Highway Patrolman" which treads the same ground. I like the acoustic rockabilly version of "Downbound Train" but most would prefer (including me) the BITUSA version. The song listed as "Deputy" is the same as "Highway Patrolman" from the album. "Child Bride" is essentially "Workin on the Highway" with a slow acoustic arrangement, no chorus but with most of the same lyrics. In fact, this song as well as BITUSA demonstrates how a song can have the same lyrics but have a totally different feel/mood to the song. "Dream Baby" is a short (:34) snippet of Bruce borrowing a line from Roy Orbison. "Precious Memories" is again Bruce trying a straight country direction that didn't do it for me. The version of "Pink Cadillac" is another slow acoustic version and is quite an enjoyable listen. Disc two rounds out with three more demos from 1981 and 1982 and are just ok. The last song is the Japanese CD version of "My Father's House" with the synthesizer coda. The artwork/package gets high marks. 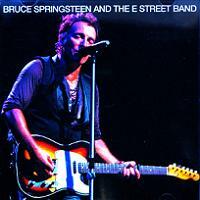 The design from the original album is used and features some very nice pictures of Bruce from the time period. There are two booklets which feature some cool photos and a song by song breakdown. Some of the narrative is translated into English poorly but you get the idea of what the author was trying to say. Lastly, there is a mini poster which I believe was included with the official Japanese album. If you're a fan of the official album and want to dig a little deeper, I'd recommend picking this up.